Pharmaceutical formulations containing natural and/or synthetic lipids are an accepted strategy for potentially improving the oral bioavailability and systemic exposure of poorly water soluble, highly lipophilic drug candidates. For example, lipid-based formulations are commercially available for various drugs including cyclosporine, saquinavir, ritonavir, dutasteride and amprenavir. Consequently, lipid-based systems are often considered when needing to increase drug exposure during pre-clinical drug development. When considering lipid-based systems as a potential means for enhancing drug exposure, the particular pre-clinical or clinical context will dictate the available (and acceptable) range of formulation options that can be considered. In a discovery environment where the biology/chemistry focus involves development of a structure activity relationship for a new chemical series/scaffold, the range of acceptable excipients and formulation options are broader and more "accommodating" than when needing to design a commercially relevant formulation for a compound in clinical development. Midway between these two scenarios would be situation of selecting excipients for early stage exploratory toxicology studies where lipid-based systems can provide enhanced drug exposure. Therefore, the flexibility of formulation design and range of excipient choice for lipid-based systems decreases as compounds progress from discovery into clinical development. Typically, the "pharmaceutics-related" issues relevant to designing formulations to enhance drug exposure are relatively well understood in terms of solubility, dose, stage of development and the biopharmaceutic profile of the compound. However, it is essential that the "non-pharmaceutics" issues are also well understood and addressed as scientists from different disciplines often have different mindsets, expectations and understandings of the issues at hand. A prospective strategy to manage potential "non-pharmaceutics" issues should be considered where lipid-based systems are being explored to enhance drug exposure. When evaluating strategies to enhance drug exposure during pre-clinical development, it is essential to identify the actual factors limiting drug exposure after oral administration. Unless there is a clear physicochemical basis for the limited exposure of drug after oral administration such as poor aqueous solubility and/or low dissolution rate, then exploration of a lipid-based system to enhance exposure will most likely be unsuccessful. Limiting factors such as hepatic pass clearance will not be attenuated by administration of a compound in a lipid-based system, unless the compound happens to be a candidate for intestinal lymphatic transport (see later section in this chapter for a discussion of intestinal lymphatic transport). Lipids are believed to assist the absorption of poorly water soluble compounds by reducing the inherent limitations of slow and incomplete dissolution and by facilitating the formation of colloidal species within the intestine that are capable of maintaining poorly water soluble drugs in solution. The formation of these solubilizing species does not necessarily arise directly from the administered lipid, rather it more frequently arises from the intraluminal processing of the formulation-related lipids via digestion and dispersion (Charman, 1992; Humberstone and Charman, 1997; Porter and Charman, 2001a). The co-administration of drugs with lipids can influence the actual pathway of drug absorption. Whilst most orally administered drugs gain access to the systemic circulation via the portal vein, some highly lipophilic drugs are transported to the systemic circulation via the intestinal lymphatics (thereby avoiding presystemic hepatic metabolism) (Charman, 1992; Porter et al., 2001; Porter and Charman, 2001b; O'Driscoll, 2002). In addition, it has long been understood that certain lipids can delay gastric transit and enhance passive intestinal permeability (Hunt and Knox, 1968; Anderberg et al., 1993; Lindmark et al., 1995; Lindmark et al., 1998). 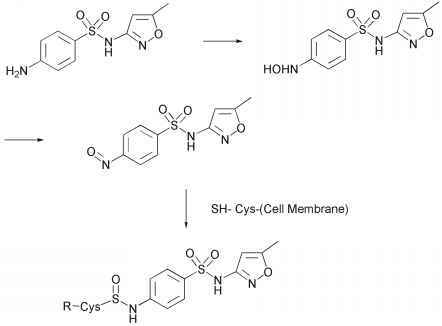 It has been suggested that certain lipids and lipidic excipients may attenuate the activity of cytochrome P-450 enzymes and/or reduce drug efflux processes, thereby leading to possible increases in the apparent permeability of drug across the absorptive barrier (Nerurkar et al., 1996; Nerurkar et al., 1997; Batrakova et al.,1998; Cornaire et al., 2000; Hugger et al., 2002; Wacher et al., 2002; Cornaire et al., 2004; Shono et al., 2004), however, definitive clinical evidence demonstrating these effects are not yet available. This chapter will discuss some of the key issues associated with using lipid-based systems to enhance drug exposure. Firstly, the relevant physiology of lipid digestion will be briefly described as it provides the foundation for then considering lipid-based systems for enhancing drug exposure. Secondly, key formulation design issues associated with the administration of such formulations will be highlighted. Thirdly, as lymphatic transport is a potential absorption pathway for highly lipophilic drugs, recent data and advances in this area will briefly described. Lastly, an approach whereby it may be beneficial to consider more lipophilic drug candidates as part of an overall lead optimisation program will be presented.